The European Union (EU) has initiated an Environmental Implementation Review (EIR) process to evaluate how EU environmental law is being followed, or not, by Member States, and how improvements can be made. In response, the European Environmental Bureau (EEB), the umbrella organization representing about 150 environmental non-governmental organizations (eNGOs) in 30 European countries, has created a project called Implement for LIFE. The project will undertake studies and issue reports on whether and where environmental laws are being followed, and how they can be improved. Such reports will be submitted to the European Commission, and the public of course, in support of the EU EIR. The first such report by EEB is on Challenge Accepted? How to Improve Access to Justice for EU Environmental Laws. Since eNGOs actively address the lack of implementation or enforcement, often through litigation, they are particularly placed to assist the EU Commission in its EIR. Standing is the most elusive legal concept that has to be addressed before eNGOs or citizens can make use of the courts to right an environmental wrong. Simply put, standing is the right of people to challenge the conduct of another person in a court. The “person” being sued (the respondent or defendant) is usually a governmental agency or official, or a regulated entity. The troubling question that arises is whether the person suing (the applicant or plaintiff) is entitled to prosecute the action in court. To answer that question the court has to determine who is entitled to sue and what kinds of decisions are subject to court action. In effect, the Aarhus Convention finds that eNGOs are almost automatically qualified to stand before the court and pursue litigation for environmental wrongs. However, the EEB report finds that is not the case in many Member States and the eNGOS have to demonstrate to the court an interest in bringing their lawsuit. For example, the court will want to know how has the person been harmed or affected by the decision of the agency or by the action of the regulated entity. Is it a significant harm? The other hurdle to overcome for standing is whether the courts recognize that the specific decision being attacked is subject to litigation in the courts, or whether it is in effect immune from attack. For example, eNGOs have filed claims that local authorities have failed to follow EU or local laws enacted to protect the public against polluted air. In Germany diesel bans have been issued in a number of cities based on litigation by citizen groups. In the UK we have seen the protracted litigation by ClientEarth which has successfully obtained orders from courts declaring that the government has continued to fail to issue adequate clean air plans for London and other polluted cities. Yet in Poland and Romania such claims have been rejected. 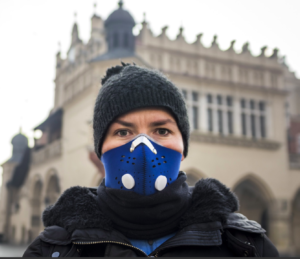 In the area of Silesia in Poland a citizen, with support from ClientEarth, demanded that the air quality plan be amended because it failed to provide measures to bring pollutant levels below limits set under EU and Polish law. The Regional Administrative Court held that the local resident’s claim was inadmissible because the air quality plan did not infringe his legal right. In what appears to be twisted logic, the court found that while the citizen lived in an area where air pollution exceeded relevant limits, which caused harm to his health, that was simply a factual situation which did not create any legally enforceable right. The court also held that air quality plans are the business of local authorities and do not impose any obligations towards individuals. In a similar case in Bulgaria, the court held that under Bulgarian law air quality plans are internal administrative decisions that cannot be challenged by the public. Certainly it is hard to reconcile the thinking, and holdings, of the Polish and Bulgarian courts with the explicit provision of the Aarhus Convention on standing. That disparity may help explain another barrier: the knowledge and capacity of judges to handle environmental cases. Environmental cases are usually filed in administrative courts where the dispute is over whether proper procedures were followed. Judges are not accustomed or trained to determine whether a project that followed all the proper procedures nevertheless could be illegal because it was causing adverse environmental impacts. These cases also often rely on technical, scientific facts for which judges are poorly trained. While the EEB report notes that many Member States do not have the resources, or interest, to train their judges in special branches of the law, we note that there is the EU-funded Academy of European Law in Trier, Germany that convenes conferences and training programs in environmental, as well as other specialized areas of law, for judges of Member States. See Hernan in Sources. In contrast to the EU, the Report indicates that China and India have specialized environmental courts where judges have the scientific knowledge and expertise required for such cases. While generally not available in the EU, an imaginative application of this approach is found in Sweden. Sweden has five environmental courts and a section of the appeal court that handles environmental cases. Such disputes often turn on fairly technical determinations, and on the accredited experts in the relevant fields. As a result Sweden appointed “technical” judges who assess the science and technological issues. They are without legal training but work along with law judges on environmental cases. There are 11 law-trained judges and 11 “technical” judges. Cases are adjudicated by the law judges. On occasion there are specially appointed “Layman judges” who assist the court, often from state agencies or sectors relevant to the case. See Hernan, “Recent Developments” in Sources. Another barrier is the time needed to adjudicate environmental cases in courts. Of course, this is true of many other kinds of cases as well. But environmental cases often involve claims that a certain project is causing ongoing harms to the environment, which will continue unabated during any litigation. When the case takes several years to resolve, the harm may be permanent and irreparable. 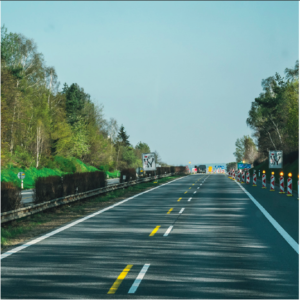 In a case in the Czech Republic, NGOs claimed that a highway project was illegal because the zoning permit was granted without a required EIA procedure. Despite efforts from the NGOs the court allowed the building permits to remain in place during the five years taken for the legal proceedings to conclude. By the time the court found that the EIA was unlawful and the zoning permit was quashed, the highway was finished and it was too late to undo the highway. One legal means to get some protection during the course of a legal proceeding is to seek injunctive relief where the court puts a stop to the harmful conduct until the legal rights are resolved. It did not work in the Czech Republic and all Member States require that the person seeking an injunction prove there are imminent and urgent damages without an injunction. The EEB report argues that this legal requirement is inadequate for environmental cases. It can be noted that such a requirement for injunctive relief is common in most law systems, including in the US. However, it may be the case that in some jurisdictions, including in the US, courts are more understanding of, or sympathetic to, the risks from environmental harms so the legal standard of “imminent and urgent” is easier to satisfy for injunctive relief. Time and money often go hand-in-hand, and litigating can cost a lot of both. The EEB report notes a recent decision of the Court of Justice of the European Union (CJEU) that addressed a case on appeal from the Irish High Court. The issue before the CJEU was the determination of about €500,000 in costs in a case where applicants tried to stop the installation of an electricity interconnector. The CJEU found that EU law provides that judicial proceedings in actions under the EIA Directive “shall not be prohibitively expensive.” But the Court held that this rule should be interpreted narrowly to apply only to those aspects of the proceedings that relate to public participation. It held that the rule does not generally apply to keeping court costs low, which is up to each Member State to deal with. With some uncertainty of the reach of this decision, the EEB recommends that the EU provide a Directive that requires cost-capping measures in all Member States and that legal aid should be provided to all public interest litigants. The report also supports efforts to allow for class actions by individuals and groups in environmental and consumer cases. In the US, many of the key federal environmental statues include citizen suits provisions. When individuals and citizen groups do take judicial action against companies or investors, it is increasingly happening that the companies and investors counter-sue the citizens asserting various claims, including defamation. The intent of such suits is to intimidate citizens from bringing lawsuits against wealthy business interests. 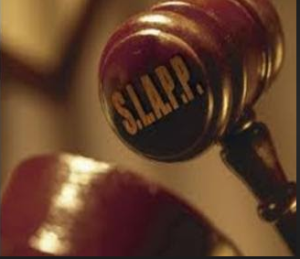 These suits are known as Strategic Litigation Against Public Participation (SLAPP) and they typically claim exorbitant damages. A similar tactic is employed by wealthy companies against countries that are planning on passing regulations restricting the companies’ activities. If applicable, the companies rely on investor-state dispute settlement provisions in international trade agreements that allow a company, or investor, to file a claim against a state, or sub-division, e.g., EU Member, for loss of profits or other detrimental economic effects as a result of the state taking regulatory action. Claims are often for millions of Euros. See Hernan, “The Trojan Horse” in Sources. The report cites instances in Poland and Crotia where citizens who were fighting against illegal acts under environmental laws (logging in Bialowieza Forest and development of a golf course, respectively) were subjected to charges for trespassing and even to claims to have them barred from speaking in public about the project. And the investors also brought a claim against the government of Crotia for €500 million under a trade agreement on the grounds that the government wrongfully prevented it from making money on the golf course project, even after the permits were annulled under the eNGO lawsuit. The EEB recommends a proposed Anti-SLAPP Directive that would quickly dismiss such suits in the EU, fine claimants if done outside the EU, create a SLAPP fund to support investigative journalists and a register of companies pursing such abusive claims.